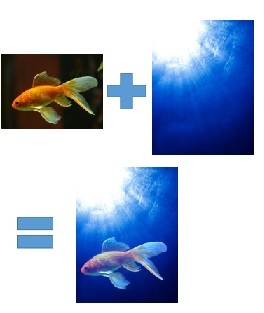 Lesson Summary: Poisson Image Editing is a method of seamlessly blending one digital image into another. The theory and concepts that are at the core of this process are rooted deeply in calculus, with a particular focus on the second derivative of a function. This lesson will guide students through some of the basics of digital image processing, while providing hands-on experience with industrial software applications that will allow them to write their own image editing programs. The goal of the lesson is for students to develop an intuitive understanding of the significance of the first and second derivatives by being able to visualize their effects on digital images.